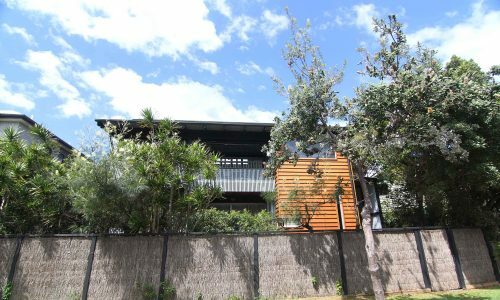 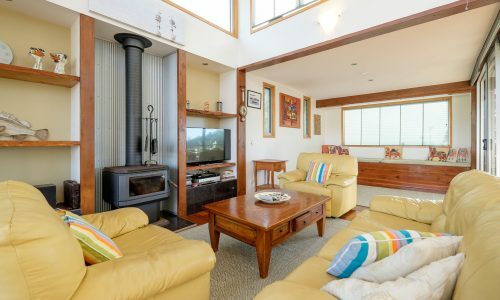 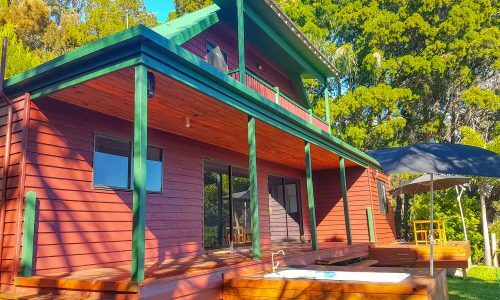 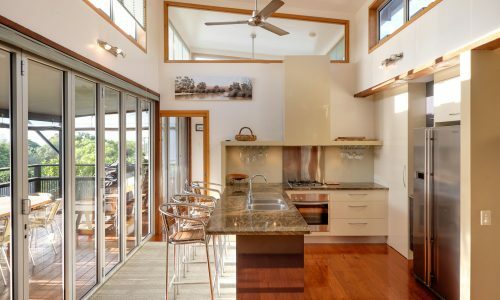 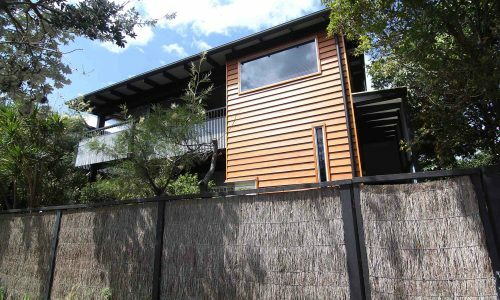 Fantastic Straddie holiday rental located in prestigious Cutter street – just moments stroll away from Deadmans and Cylinder Beaches. 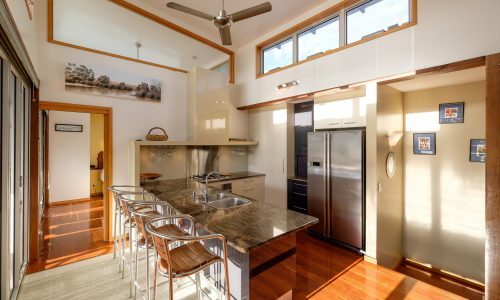 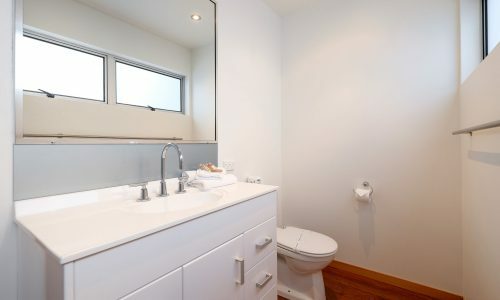 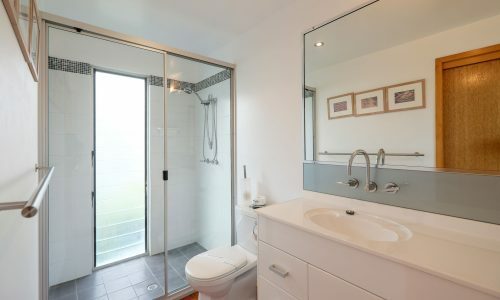 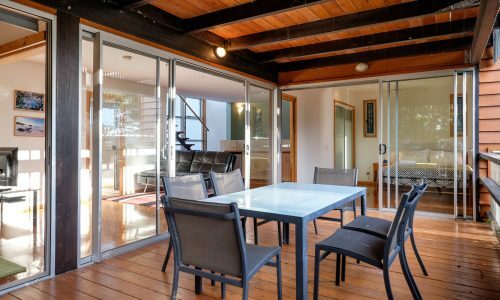 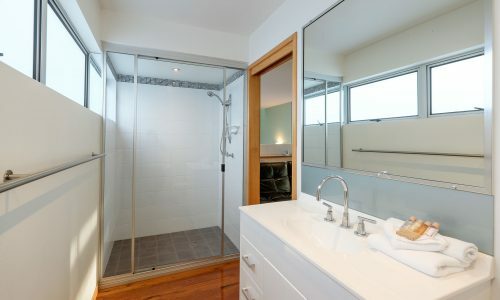 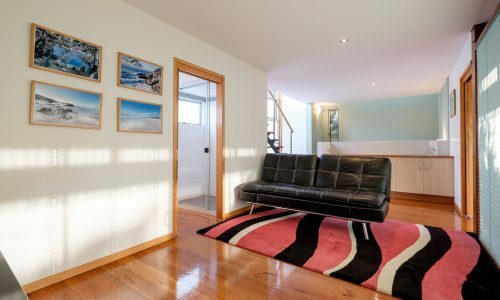 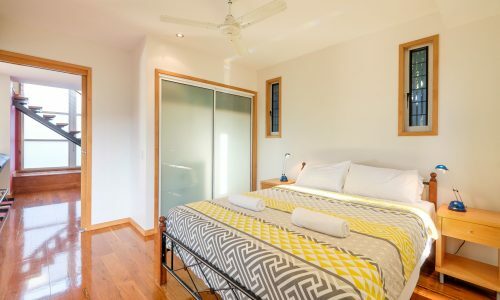 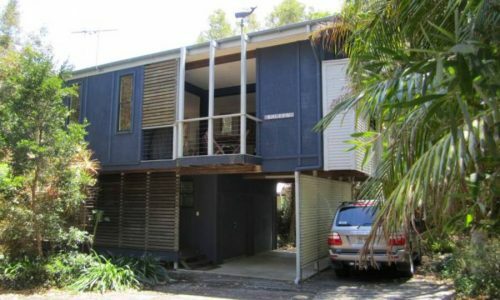 The two street frontage means an easy exit to either of Straddie’s best beaches and with quality fixtures, fittings and furnishings – Casa Aurora is one of Straddie’s finest holiday rentals. 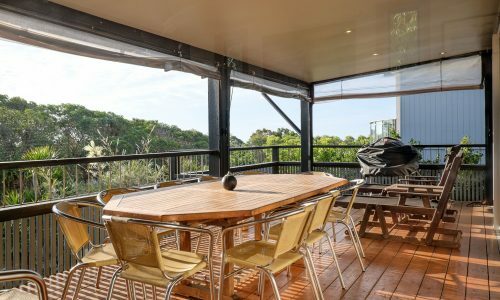 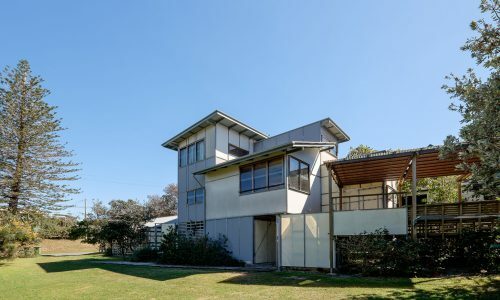 Set over three levels, with double lock up garage, two large entertaining decks and separate living space for kids, Casa Aurora is perfectly positioned for a memorable Straddie beach house holiday. 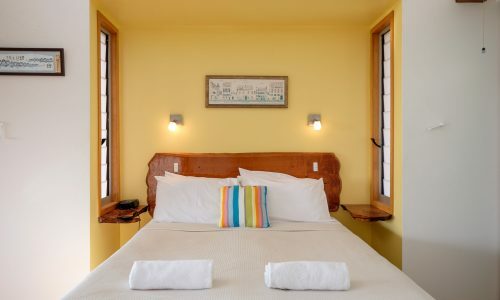 Casa Aurora is PET FRIENDLY with an enclosed garden and yard. 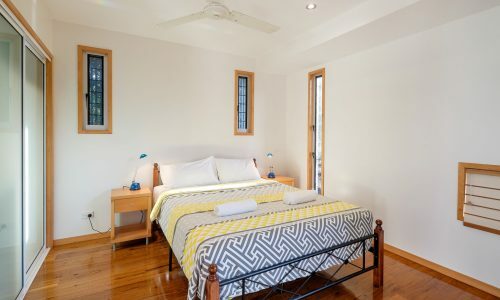 NOTE: Bookings at Casa Aurora include a return car ferry at a time of your choice (subject to availability), a $50 cafe voucher for fish and chips, and our premium linen and amenities pack. 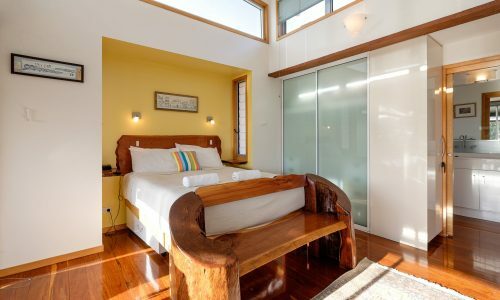 Casa Aurora was fabulous! 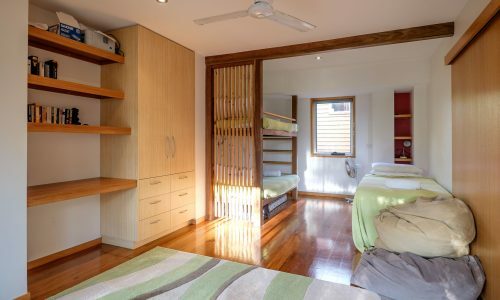 Really comfy beds, beautiful view and lots of space for the whole family. 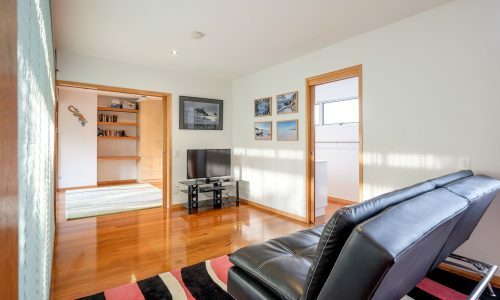 We had our 2 kids and their grandparents downstairs with their own tv, bathroom, kitchenette and balcony. 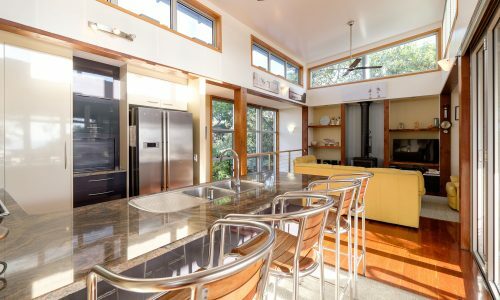 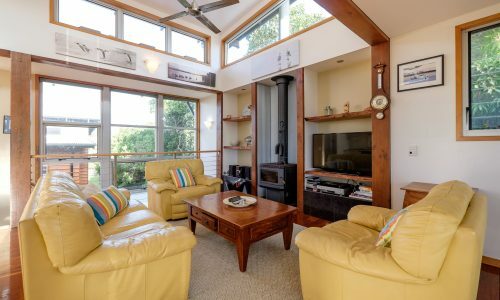 Fabulous windows, so much light and ocean breezes and loved the bi-fold doors opening up the deck area.